For summer, I must have a big bag. I need to carry my sunglasses, a bottle of water, a cardigan for the ridiculous air conditioning assault, sunscreen, and sometimes bug spray. (A book inevitably gets tossed in here as well; currently it's David Mamet's The Old Religion.) 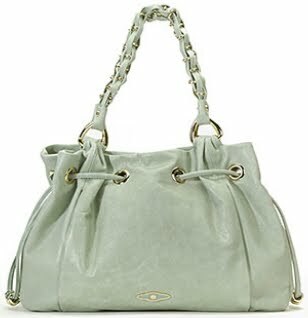 The Elliott Lucca "Oden" tote is large, leather, and knocked down in price to $187.60. It's available in an on-trend pale green, but you can also get it in a classic black or tan. Check out Elliott Lucca's sale section for more great deals on leather bags. I wish it was the Odin tote because I want the god death and battle to be seafoam green.